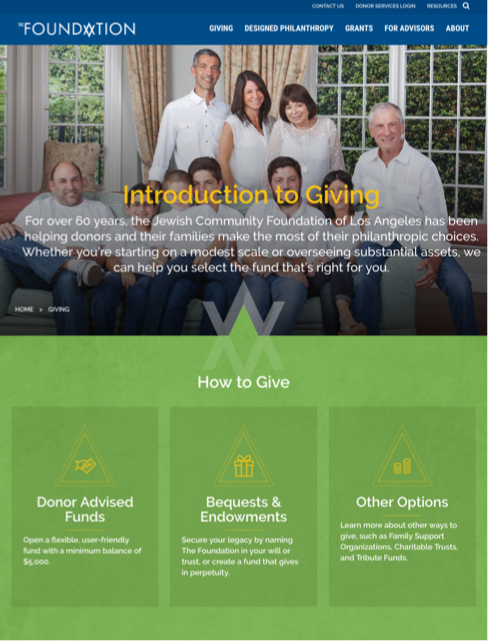 The Jewish Community Foundation of Los Angeles partnered with us to redesign their website. 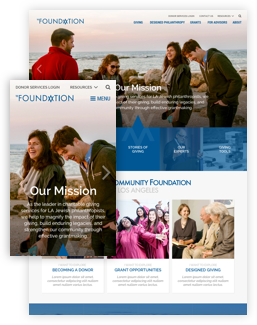 They wanted to modernize the look as well as create a hub of information for donors, advisors and grantseekers. 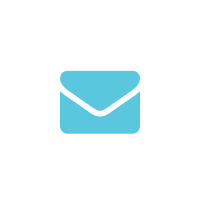 We created profiles of the types of users The Foundation works with to better understand their needs. 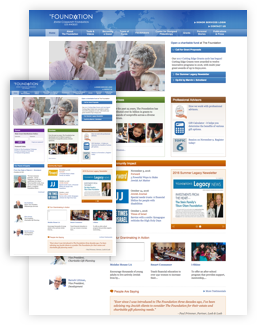 We use those user personas to build our content around. KWALL led a workshop with Foundation Stakeholders where we mapped out the current site, and then brainstormed new ideas. Our research indicated that people found the donation process confusing. 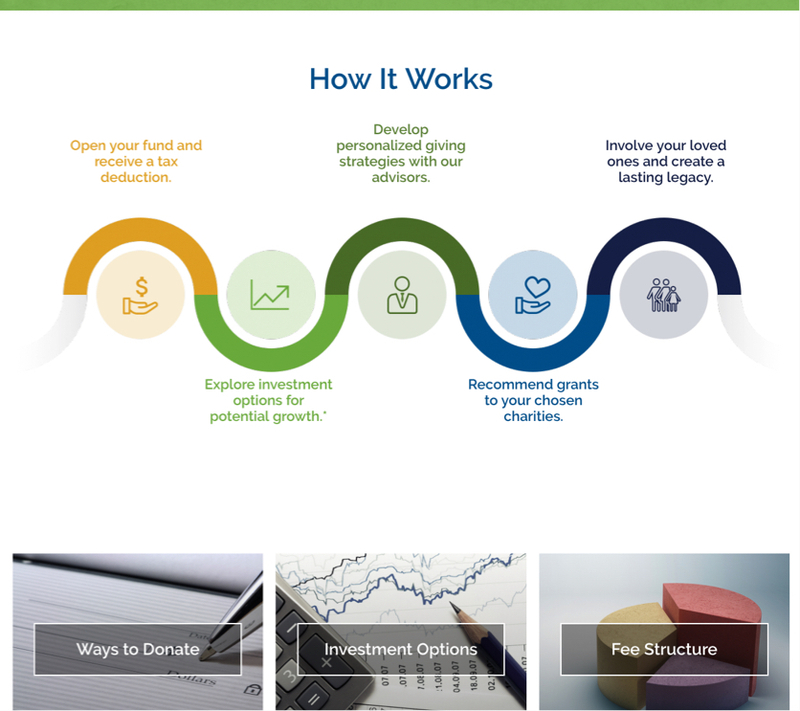 So we worked with the Foundation to create engaging, simple graphics that explain the process at a high level. The user can, of course, also dig in to all the details as well. 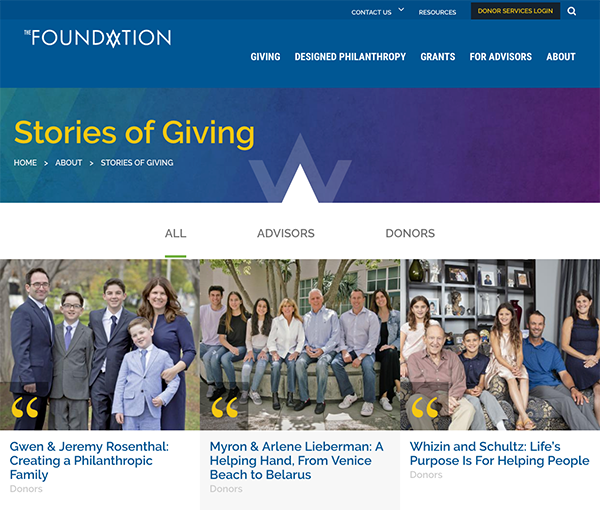 More powerful than simply explaining what the Foundation offers is connecting donors to one another. The stories they tell about how they have been able to help their families and communities are illuminating. We created a filterable list of these stories, with rich images and videos. More people are using phones as their primary computer. 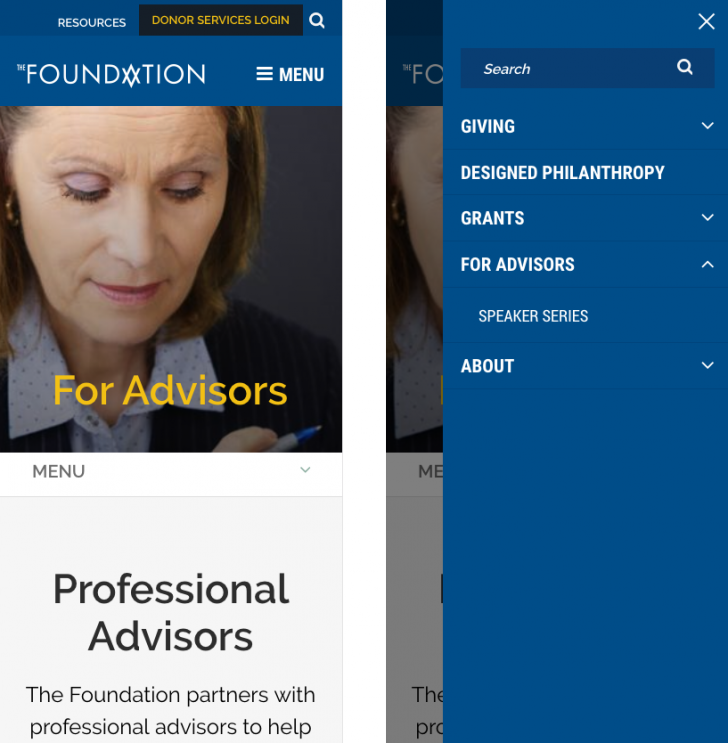 We made sure that the Foundation's website looked just as good on a small screen as on a big one. 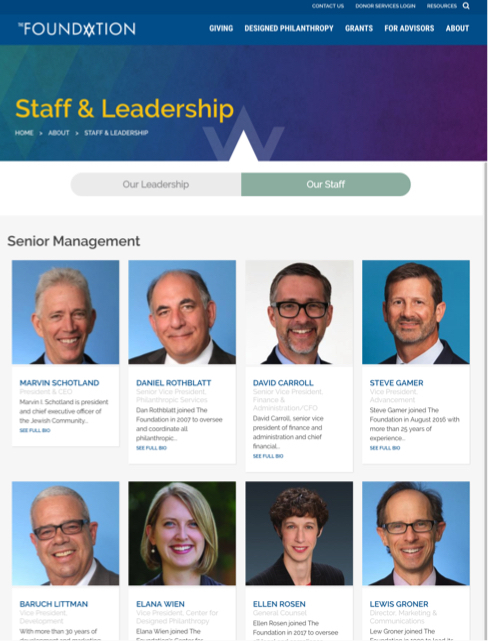 Besides the look, it's important to make sure the website is just as functional on mobile. We designed special menus and controls tailored to the mobile experience. 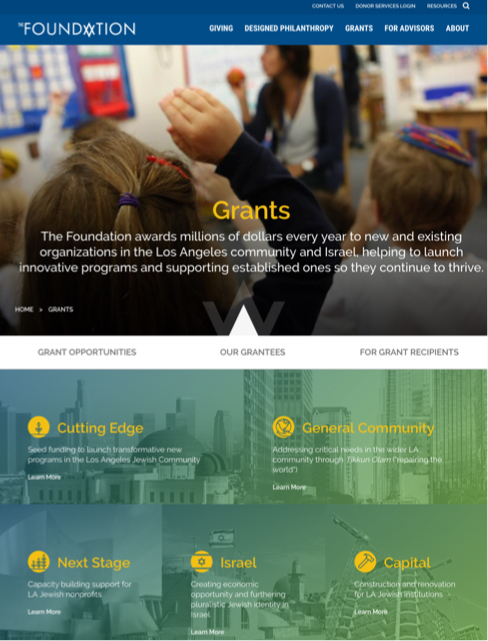 Working together, KWALL and the Jewish Community Foundation were able to create a truly modern website: mobile-friendly, media rich and user centered.